This exercise bench is constructed from sturdy steel tubes with padded PU leather cushion, stable and durable. 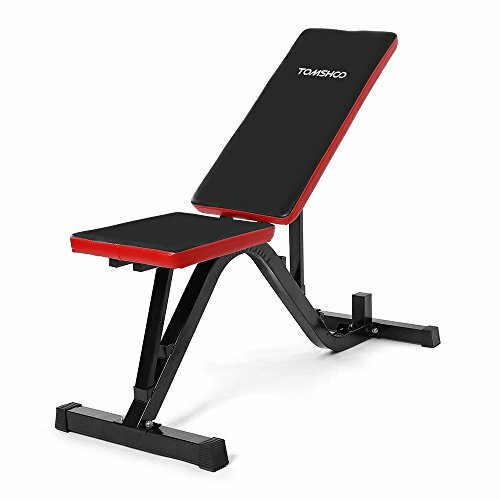 With 5-level adjustments, this sit up bench will works your muscles effectively and improves your strength to the next level. Flat and incline multi positions for barbell and dumbell exercises. 5-level height adjustable from 50cm to 110cm (19.7" - 43.3"). Heavy duty steel construction provides excellent stability and long-term use. Thick foam padded cushion with PU leather cover for added comfort. Maximum user weight up to 150kg (330lbs). Can be used for ab exercising, push up, sit ups, etc. Heavy duty steel construction provides ehanced stability and long-term use.